Flame retardants found in baby goods and furniture is nothing new. In fact, earlier this year, one study found that possibly 80% of car seats, high chairs, strollers and other baby products contain polyurethane foam may also contain potentially toxic flame retardants. However, what’s a little more unsettling is new research released today from by the nonprofit Ecology Center at the consumer-friendly site, HealthyStuff.org. What this new research shows is that many 2011-model car seats were found to be virtually free of dangerous chemicals. That’s great news! Now we know, for a fact that car seat manufacturers CAN make healthier car seats. Sadly though, what this research also reveled is that 60% of 2011-model car seats tested did contain at least one dangerous substance. Shame on those manufacturers. Keep reading to learn what substances were tested for and which car seats are safest for your child if you’d like to avoid chemicals. All-in-all, researchers at Ecology Center tested 150, 2011-model car seats for bromine (associated with brominated flame retardants); chlorine (indicating the presence of polyvinyl chloride, or PVC and plasticizers); lead; other heavy metals and allergens. All of the substances tested for have been linked to allergies, birth defects, impaired learning, liver toxicity and cancer. Worse, the researchers state that heat and UV-ray exposure in cars may accelerate the breakdown of some of these chemicals, which may increase their toxicity and leave your baby more open to exposure. Obviously car seats save lives. A car seat is a must-have baby item. Still, if it’s possible to make a car seat with fewer toxic substances, you gotta wonder, how come more car seat manufacturers aren’t on board? You can make a difference though, by choosing one of the less dangerous car seats shown on the next page. Jeff Gearhart, the Ecology Center’s Research Director agrees that car seats are an essential product, yet he also points out, “Our research shows that some car seats contain more harmful chemicals than others. HealthyStuff.org makes it easier for parents to research the best car seat for their child.” Following are some of the best and worst car seats of 2011. To see the full list of car seat rankings and chemical compositions of said car seats visit HealthyStuff.org. 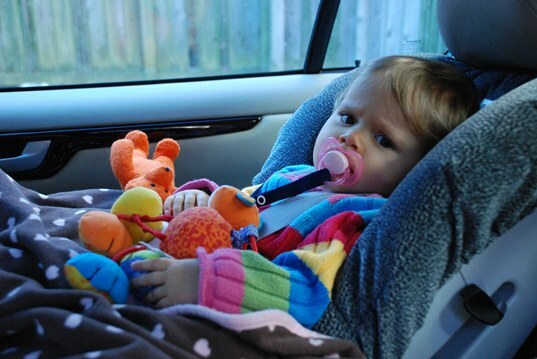 You can also check out their quick list – 2011 Best and Worst Car Seats.